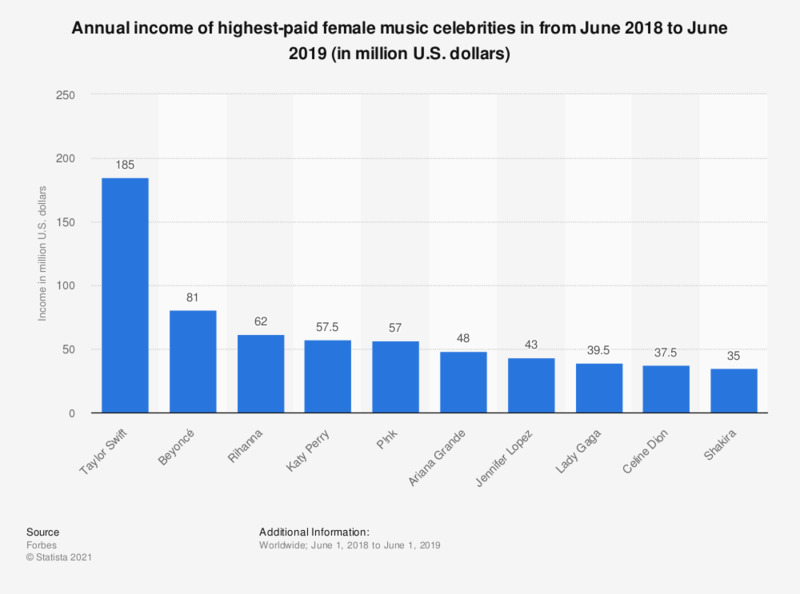 This statistic displays a ranking of highest-paid female music celebrities between June 2017 and June 2018. In that period, Katy Perry was the highest earner, with an annual income of 83 million U.S. dollars. Fourth in the ranking was Pink, with annual earnings of 52 million U.S. dollars. Forbes stated that figures are calculated by measuring "pretax income before subtracting management fees" and "are based on data from Pollstar, Nielsen, and the RIAA, as well as interviews with agents, managers, lawyers—and some of the stars themselves."